One of the tedious chore of maintaining a motorcycle is having to lube the chains every 300 miles. Of course, the mighty TW200 is one of the few dual sport bikes that does not have a center stand. Most people, just put the bike up on a motorcycle stand before heading out for a day ride. However, when you’re traveling on a long distance trip, it was not practical to pack one of those along. 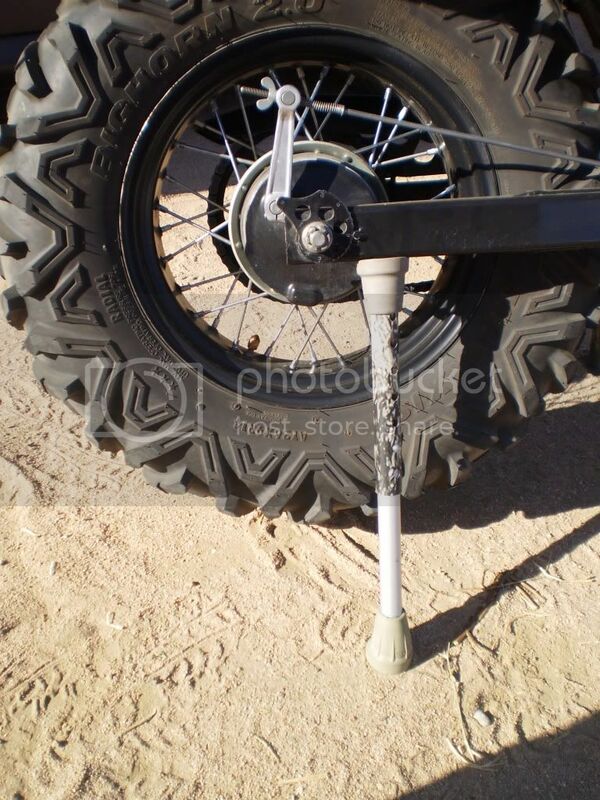 So, Russ aka Lizrdbrth created a Crutch Jack to prop up the rear tire which allows us to easily spin the wheel while lubing the chain. It was one of my favorite DIY gizmo I used on the trip.I wasn’t sure how he made it so I decided to cruise through his old postings on the TW200forum and discovered it wasn’t him who came up with the idea, it was another forum member, DonBenito. 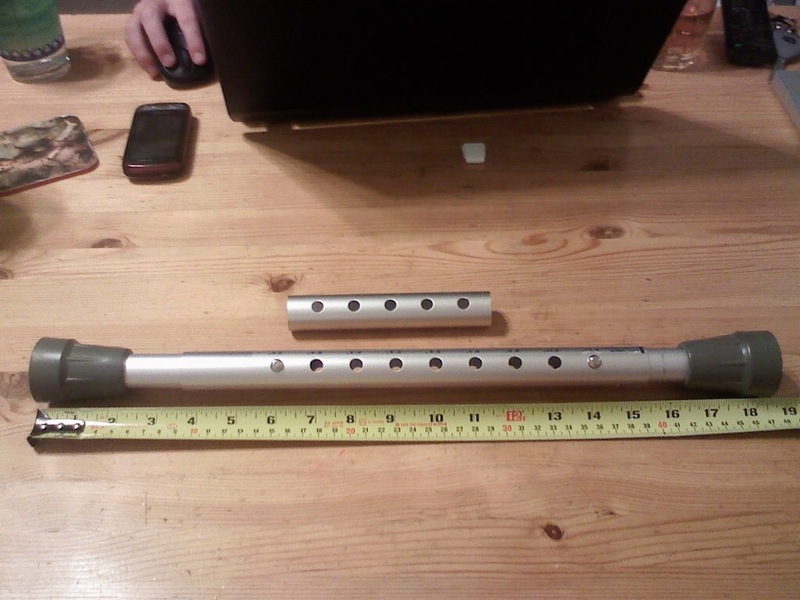 Below is his post on how to make your own Crutch Jack. It is cobbled together from 2 crutches which can be purchased for approximately $5.00 from a local goodwill store. 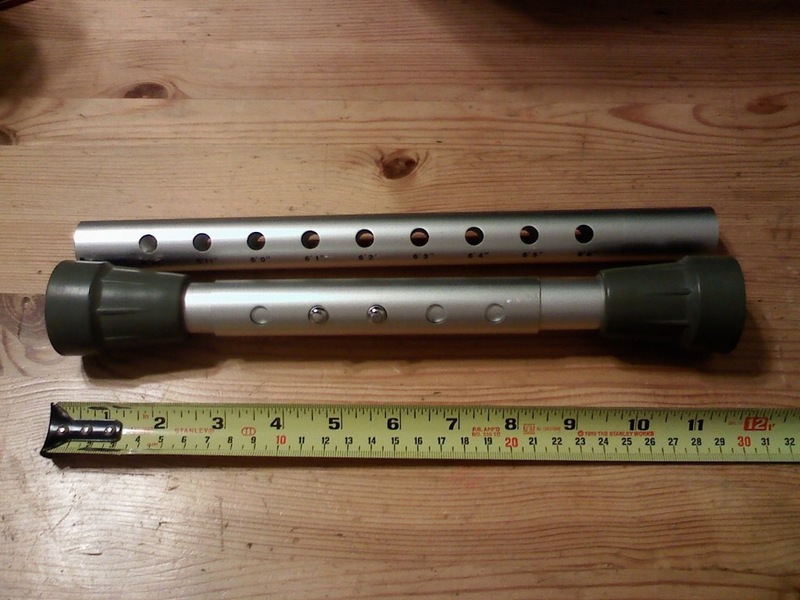 So basically, you can create this by shortening one sleeve of the crutch and use the shortened snap-button ends of both crutches. 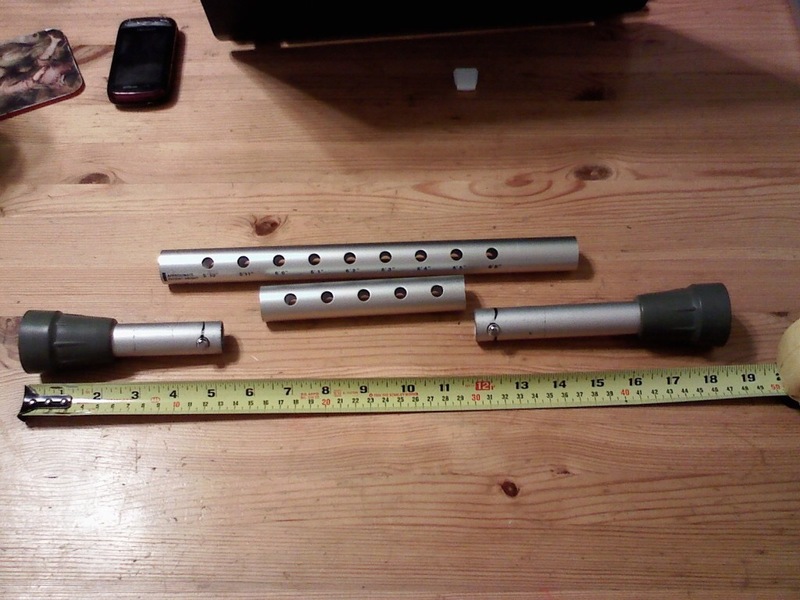 The short ends clicked into the short sleeve and the 11 3/4 extension both pack away at less than a foot, so you get a lot of range in a jack stand in a pretty compact package. Super idea, and I love the TW200…question for you, is there enough battery juice for you to wear heated gear? Nope, it was one of the challenges of riding a TW200 on a long trip. Myself and many fellow T-dubber tried to find someone willing to modify the Stator to generate more power with no such luck. I ended up using a battery operated heated gear which worked okay but not great. That is what I was afraid of, thanks for the reply. Great idea 💡 I have to admit that I decided to do away with oiling the chain on my new V-Strom and fitted a Scott oiler. It’s cheating I know but it’s also great. Whatever makes it easier. .I’m all for it!